Congressman Dennis Kucinich is hosting a Congressional briefing, Thursday, September 20, 2012, on the medical effects of radiation exposure, and the health threats presented by our nation's nuclear power plants, nuclear fleet, and the on-going tragedy in Fukushima, Japan. There will be expert testimony from Physicians for Social Responsibility and others. The briefing will give legislators information that they need about the ongoing situation in Japan and the problems with the continued use of nuclear power in the U.S. Radiation is a deadly legacy, and nuclear power is dirty, dangerous and expensive - and unnecessary when we can turn to clean, safe, cheap solar and wind power. 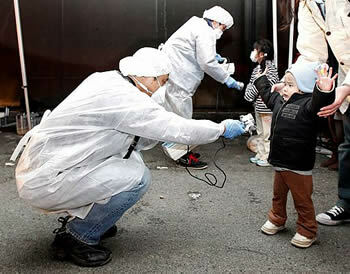 There is an ongoing nuclear disaster in Japan that has displaced hundreds of thousands of people. Prior to this disaster, the regulators in Japan said they had all safety measures possible in place. Our Nuclear Regulatory Commission (NRC) has said the same thing about our 104 aging nuclear power plants, 23 of which have the same flawed design as in Fukushima. Nuclear disasters are not unique to Japan. Chernobyl killed and sickened many, as did Three Mile Island on a smaller scale. A nuclear plant in Virginia was damaged by an earthquake last year. Please invite your representative and senators to attend the briefing.